I have been exploring the world of abstraction for the past few years and searching for my unique expression within the style. A few weeks ago I was feeling sad and discouraged dealing with some life problems as we all do. As I was sitting and thinking, the door bell rang. I wasn't expecting anyone and surprised at who it could be. I ran downstairs to open the door and there was a delivery of the most beautiful bouquet of flowers. My loving partner had called the neighborhood flower shop and asked them to look at my website and see the colors of my painting and create a basket of flowers with the colors of my paintings. All the sorrow went away and I felt I was surrounded by a magical feeling. The result were 2 paintings, Color of love I and II. I also want to say that photographing abstract paintings is very challenging. 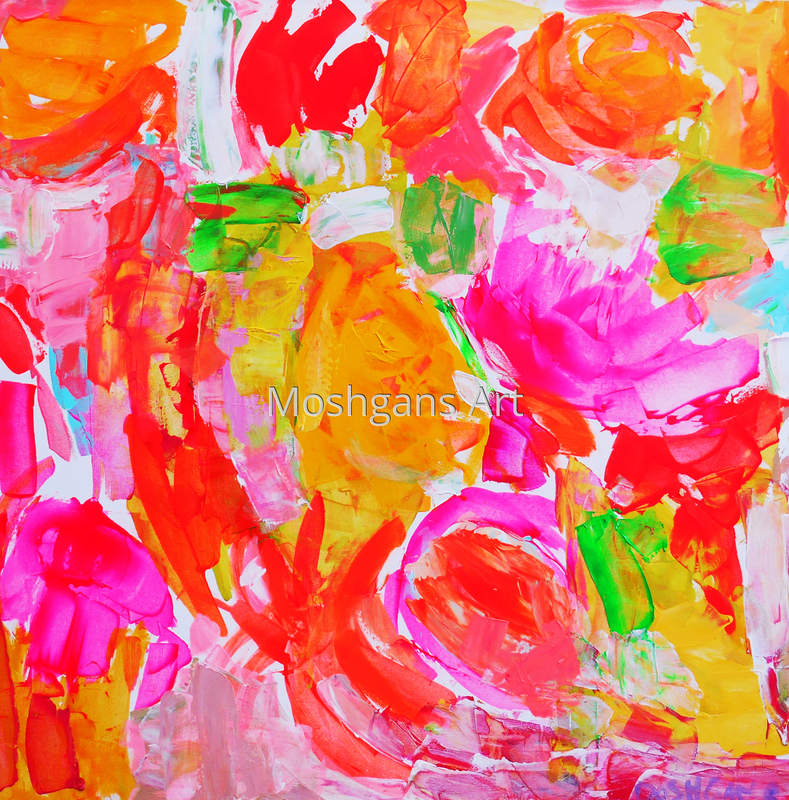 Its hard to capture the luminosity of colors and the texture of paint on the canvas surface. Even though these images are close to the real painting but they don't match the beauty and the moving energy of the real canvas.